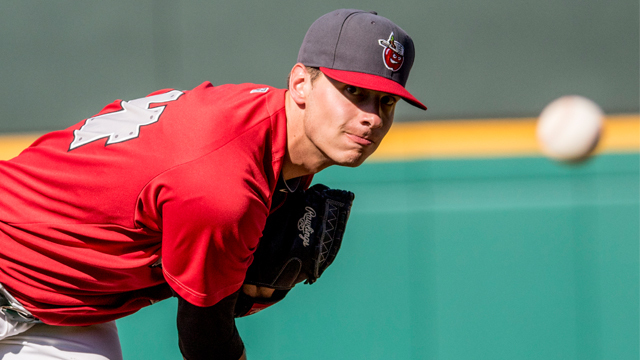 Elliot Ashbeck suffered an elbow injury that required Tommy John surgery after making one start for the Lake Elsinore Storm in 2016. The 16th-round pick in the 2015 MLB Draft would be shelved for at least one year, and the fact he is back in California, in 2018, is a little surreal for him. He is excited to be a member of the Storm after an intense battle this spring. The right-handed hurler realizes that making a team out of the spring was an honor in itself. The Padres’ farm system is stacked and he knows that. I recently sat down with Elliot, at Storm Media Day, as Lake Elsinore prepared for their first road series of the 2018 season. On May 20th of 2016 Elliot went under the knife. He knows that date really well. I asked first about his arm and his recovery time. “It took my about 14 and a half months to get fully, fully cleared and then I pitched a little last year,” Elliot said. He pitched in Arizona and Tri-City last year, going 1-2 overall with a 0.78 ERA and 0.783 WHIP in 17 games and 23 innings pitched. Ashbeck struck out 31 in that time and only allowed four walks. He pounded the strike zone and adapted well to the bullpen. The Padres are eager to see what this young man can do with a full bill of health and an entire professional season. Elliot himself is also anticipating the season. “I am excited to keep moving forward now.” He has a smile on his face when he speaks about his health. You can sense the relief that the pitcher is finally comfortable with his mechanics and such. He tells me that last year was just a sign of things to look forward to. “Last year was about getting to square one, now it is about pushing forward.” He is prepared to push himself now and should excel at whatever role the Padres see for him. I asked Elliot about returning to Lake Elsinore. “I am glad to be back here and continue the journey.” The road is long and he was sidetracked at one time, but Elliot Ashbeck has learned a valuable lesson. He has seen the ups and downs of being a professional baseball player. The man will work his tail off and never take for granted how special this time is in his life. Peoria was an adventure attempting to keep up with all these Padres’ prospects. We began to discuss Arizona and the fact there was competition at every level. “It was so competitive just to get on a team. The organization is so much more talented than even two years ago.” He is certainly correct. The stockpiling of talent has continued for the Friars. Elliot was very pleased to be in the California League. “There are very talented ball players that are in Arizona who didn’t get on a ball team.” Again, he knows how hard other players worked who aren’t on full-season teams and is very conscious of the fact the Padres have gained a huge amount of confidence in his future. With the ability to throw four different pitches, I asked Ashbeck if he was going to start or throw out of the pen. “I am going to be in the bullpen. I am capable of being that long man and going those extra innings if we ever get into trouble.” He hasn’t ruled out starting, but that is in the hands of the Padres. He certainly recognizes all the young starting pitchers around him in the system. Elliot will just continue to be prepared and let the cards fall where they may. The Fernando Tatis trade continues to provide benefits to the Padres. I realized this as we began talking about his pitches. Elliot throws a FB, change, curveball and a slider. The slider was somewhat new to him and I was surprised to hear where he got the pitch from. “I added a slider this spring training. I picked it up from Erik Johnson (James Shields trade) as he and I did some rehab together last year. He showed it to me and I have been playing around with it. I did not throw it in games until my last spring outing and I had some success with it. I am excited and looking forward to using it.” The pitch could help Elliot keep batters even more off-balance at the plate. He still has some mastery of the pitch to accomplish but, in time, it could be a real weapon for him. The pitcher throws right, but was a pretty good left-handed hitter in college. He was in the lineup quite often too, so I asked Elliot if he thought about hitting professionally eventually. “I hit in college so I would enjoy trying to get in there. There would be some rust.” The man is a competitor. He is certainly up for the challenge. We last started to talk about goals and such for the 2018 season. “To try to have a successful outing as frequently as I can. I would love to get to San Antonio, if not higher, at some point this year, but the only thing I can control is my outings.” His goals are certainly attainable as the 24-year-old is mature and poised on the mound. He has only 70-plus career minor league innings under his belt, so he does need a certain amount of seasoning. The Storm bullpen should be solid this year as Hansel Rodriguez, Gerardo Reyes, Blake Rogers, Austin Smith, Elliot Ashbeck, and company hold down the fort. Expect exciting things this year from the Padres’ minor league system. 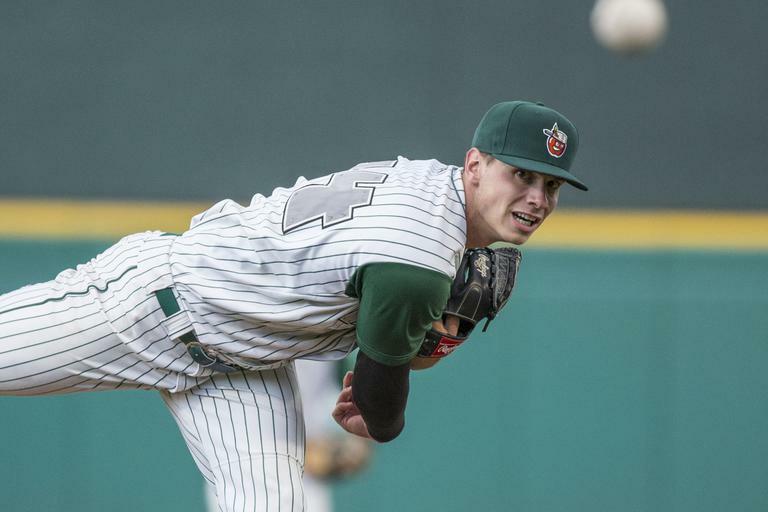 Players like Elliot Ashbeck could take a huge jump in their development and continue their journey to the major leagues.